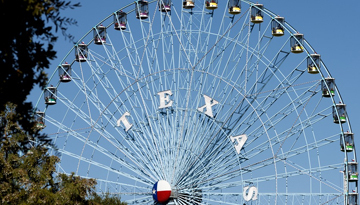 As the old adage goes, "everything is bigger in Texas." Dallas, the third largest city in the state of Texas, certainly lives up to expectation. As one of the most popular tourist destinations in the United States, there are plenty of things to see and do in the city, which boasts a wealth of attractions to suit all interests. As the scene of one of the defining moments in modern history, the JFK museum and Texas School Book Depository both serve as a memorial to former president John F. Kennedy, providing a wealth of information on perhaps the most infamous assassination of all time. When it comes to cuisine, Texas is best known for its beef. With a host of local steakhouses offering fantastic (not to mention enormous) meals, dining out the American way in Dallas is an experience to be savoured. Sports fans may wish to take a visit to Cowboys Stadium, home to one of the most successful sporting teams in world history, the Dallas Cowboys. The sheer magnificence of the stadium's architecture makes it a must-visit, even for those uninterested in American football. Of course, Dallas is also famous for its oil magnates, immortalised in the kitsch 80's soap opera which shares its name with the city. The sights and landmarks from the series can also be visited in all their glory. 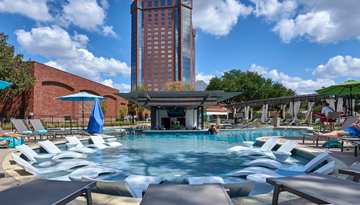 Hilton Anatole provide better accommodation than all other hotels in Dallas. 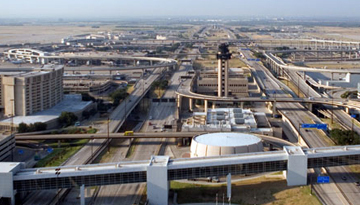 Fly from London Gatwick - Dallas & Stay for 1 nights with 4 star accommodation. Room Only.